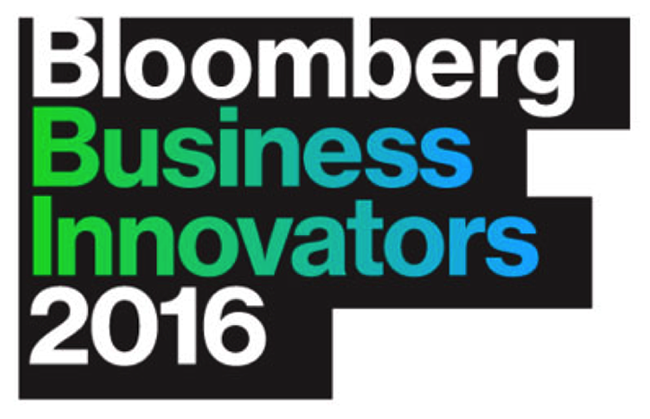 We’re delighted to be selected as one of Bloomberg’s inaugural Business Innovators list for 2016. 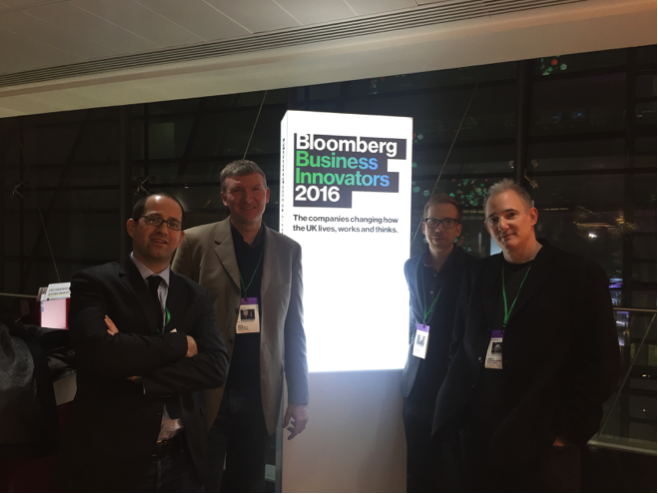 A judging panel of domain experts and cross-sector industry leaders picked EVRYTHNG as one of the breakthrough businesses disrupting the way people live, work and think. Which is pretty cool, obviously. There was a fascinating mix of people at the launch event last night, as you might expect given the context: a range of curated companies innovating in their respective fields. This spanned enterprise cybersecurity (Darktrace), renewable energy (Pavegen), quantum computing (Cambridge Quantum Computing), complex simulation software (Improbable), and EVRYTHNG in between. 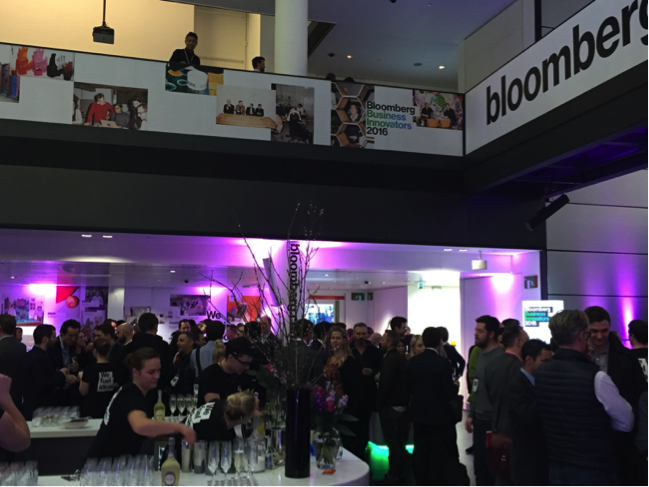 The evening’s programmed content was an interview by Bloomberg’s Head of European Technology News Nate Lanxon of the unexpectedly charming Sarah Wood, co-founder and co-CEO of Unruly Media. It wasn’t so much what was discussed that held my attention – although there were some useful insights into the Unruly journey from inception to acquisition by News Corp. – it was Sarah’s unusual blend of disarming honesty, ‘all in’ passion for what she does, and sharp, articulate intellect that made it a pleasure to be in the audience hearing her story. I particularly liked her acronym PANDA as a hiring guide. You need to look for people who are: P – Passionate / Positive; A – Anything’s possible (belief and problem solvers); N – Nurturing / No egos (e.g. arrogant rock star developers will never fit in) vs. team-based and collaborative players; D – Determined (people who are committed and can execute to drive things to a conclusion); A – A+ players (demanding a lot from each other and setting the bar high). All in all, it was brilliant to be included in such as list and be in such great company with others at the forefront of global innovation – and great to have some co-founder ‘hang time’ to boot.